According to the latest census data in 2014, the older population, persons 65 years or older, numbered 46.2 million. Those 65 and older represented 14.5% of the U.S. population, which is about one out of every seven Americans. It is estimated that by 2060, there will be about 98 million older Americans, which is more than twice the number in 2014. As a result of this population growth trend, the need for home care services is also increasing. In addition to changes in population demographics, there is a growing preference for seniors to receive care in their home as opposed to a facility such as a nursing home, hospital or assisted living facility. In fact, nine out of ten senior citizens prefer care in the home over nursing home care. There is increasing concern about Methicillin-Resistant Staphylococcus Aureus (MRSA), an infection caused by bacteria that have become resistant to antibiotics, as well as exposure to other infectious diseases. Seniors are most vulnerable to developing infectious conditions due to their lower immune systems and increased contact with others in medical facilities. Home care avoids this exposure by providing care in the home and therefore reducing exposure. Safe Home Caregivers: How Do You Choose? To screen good caregivers, we request certificates, TB tests, doctors’ notes, verification of employment, and we request and check references. Caregivers who are certified nursing assistants, or CNAs and have at least 2 years of experience have the priority. We also provide our caregivers with worker’s compensation and liability insurance. Most importantly, we do thorough background checks. By going through this type of hiring screening process we make sure that we are sending the right caregivers to represent our company, and the best in home-care givers for our clients. This is what the safest home care agencies do. Excellent home care helps keep seniors in their most comfortable environment, which decreases anxiety and confusion. Home care is proven to be a reliable way to manage chronic conditions and reduce expensive hospital visits. Also some research shows that those in home health care, heal more quickly in their homes. 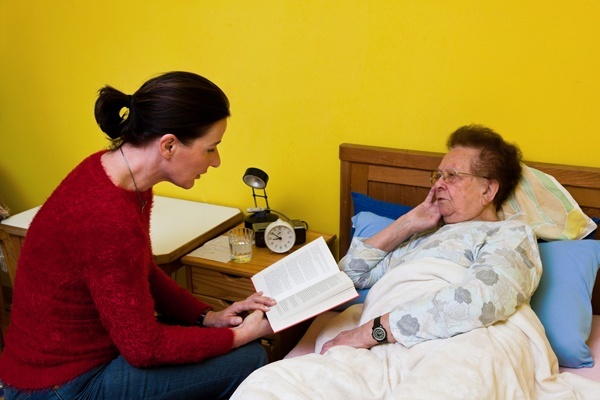 Home health care includes both medical services as well as personal care services. Home health care agencies like ours, Unique Homecare services, provide custom tailored, personalized care planning through a thorough screening. We arrange and monitor in-home assistance. We also help with completing forms and health and service related paperwork. We act as a liaison with family members when family members are not in the local area or when they are not available due to other commitments. If you or your loved one needs home care services- please contact us for a free in home consultation today at (800) 296-9962. We will work with you to tailor an affordable care plan that meets your needs.